Speech therapists assess and treat individuals with speech and language disorders and difficulties. They work in hospitals, schools, primary care locations, in voluntary organisations and in private practice. 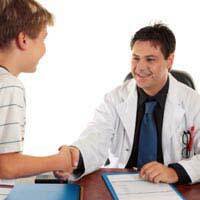 Speech therapists may be accessed privately and directly, or following a referral from a medical professional. Before beginning a working relationship with a speech therapist you will need to feel comfortable with that individual. This means feeling comfortable with his or her training, diagnosis, treatment recommendations and manner during therapy. There are many ways to find a private speech therapist in the UK. You may rely on a recommendation from teachers/schools, local authorities or friends and relatives. You might ask your GP for a recommendation, though not a direct referral. You could also contact professional organisations such as the Association of Speech and Language Therapists in Independent Practice or the Health Professions Council, or charities related to specific speech difficulties such as the British Stammering Association. Once you have narrowed down your choices, calling the therapists directly is the best way to find out more about their services, schedules and what you should bring with you if you do book an appointment. As specialists, speech therapists do work for the National Health Service (NHS). This means that you can obtain a referral to a speech therapist for a doctor or another health care professional. If you do independent research and find a specific therapist, unit or department that you would like to attend you could also contact them directly to find out how or from whom they accept referrals. Particularly for units or departments located in hospitals you might also find that there is some sort of designated liaison to answer such questions. The therapist, unit or department will likely have information already prepared about what to expect at an appointment and what to bring with you on the day. Even though it can often feel like you have to get a specialist to agree to see you, don't forget that you also have the right to "interview" a speech therapist as well. Use your first appointment to analyse how you feel about the therapist. Do you feel that his or her credentials are acceptable? Can you check that they are registered with the Health Professions Council? Do you feel that they have listened to your situation and reviewed your referral or case history appropriately? Do you understand their reasoning for particular tests, diagnosis or treatment plans? Do you believe they have taken your thoughts into account regarding tests, diagnosis or treatment plans? And, just as importantly, are you comfortable with the therapists' manner? If you feel that this individual is not the most appropriate speech therapist for you then you can either privately access another therapist, or ask your GP or the unit or department for about the procedures for obtaining a referral for a second opinion. Finding an appropriate speech therapist is an important first step in having success with speech therapist. Speech therapists can be accessed privately and directly, or by referral from a medical professional, and patients can use the first meeting to make sure that they feel comfortable with the therapists' credentials, thoughts on tests, diagnosis and treatment, as well as the therapist's personal and professional manner. I have had speech therapy in the past which did not help me i got self referred but did not work for me i speak ok when it is one to one but i got diagnosed for having a cluttering speech they could not help me i am a very fast talker i also suffer from dyspraxia and dyslexia and anxiety and nervousness i have difficulty pronoucing certain words and got a bad habit of speaking gujrati an english words together to make it easy for my self to be understood but i have difficulty expressing my self i never get angry or raise my voice people make fun of me and ignore me can you help i need someone to talk to i also have understanding problem when reading i use my eyes and not my mouth my doctor refuses to refer me to speech therapy i am on the waiting list for mind care i also suffer from bad memory and i have low concentration i have a phobia for driving i want to learn but i don,t know where to start i need some support who can help me.